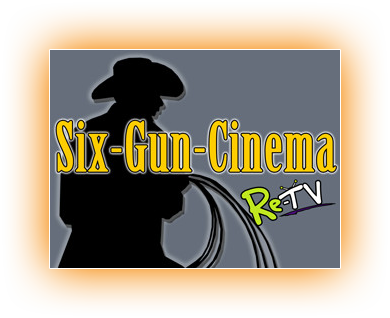 RE-TV presents Six-Gun-Cinema, a 24/7 channel for all day access to classic western movies and your favorite western series. Saddle up and ride back to the days when cowboys were king and the west was still wild! Join classic Western stars like John Wayne, Roy Rogers, Gene Autry, Tex Ritter, Gabby Hayes, Johnny Mack Brown, Bob Steele, Kermit Maynard, Hoot Gibson, Tom Tyler, William Boyd, and the Range Busters ("Crash" Corrigan "Dusty" King & "Alibi" Terhune) and so many more as they ride the plains and deserts of the Old West. Re-live the tales filled with ranchers, homesteaders, rustlers, horse thieves, renegades, gold filchers, stage line drivers, and lawmen sworn to uphold justice. Tune in to Six-Gun-Cinema for all your favorite westerns!